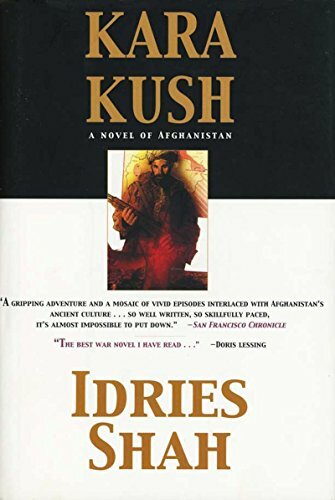 Idries Shah (Persian: Ø§Ø¯Ø±ÛŒØ³ Ø´Ø§Ù‡), also known as Idris Shah, nÃ© Sayed Idries el-Hashimi (Arabic: Ø³ÙŠØ¯ Ø¥Ø¯Ø±ÙŠØ³ Ù‡Ø§Ø´Ù…ÙŠ), was an author and teacher in the Sufi tradition who wrote over three dozen critically acclaimed books on topics ranging from psychology and spirituality to travelogues and culture studies. Born in India, the descendant of a family of Afghan nobles, Shah grew up mainly in England. His early writings centred on magic and witchcraft. In 1960 he established a publishing house, Octagon Press, producing translations of Sufi classics as well as titles of his own. His most seminal work was The Sufis, which appeared in 1964 and was well received internationally. In 1965, Shah founded the Institute for Cultural Research, a London-based educational charity devoted to the study of human behaviour and culture. A similar organisation, the Institute for the Study of Human Knowledge (ISHK), exists in the United States, under the directorship of Stanford University psychology professor Robert Ornstein, whom Shah appointed as his deputy in the U.S. In his writings, Shah presented Sufism as a universal form of wisdom that predated Islam. Emphasising that Sufism was not static but always adapted itself to the current time, place and people, he framed his teaching in Western psychological terms. Shah made extensive use of traditional teaching stories and parables, texts that contained multiple layers of meaning designed to trigger insight and self-reflection in the reader. 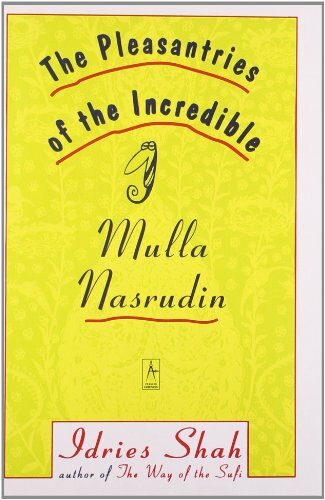 He is perhaps best known for his collections of humorous Mulla Nasrudin stories. Shah was at times criticised by orientalists who questioned his credentials and background. His role in the controversy surrounding a new translation of the Rubaiyat of Omar Khayyam, published by his friend Robert Graves and his older brother Omar Ali-Shah, came in for particular scrutiny. However, he also had many notable defenders, chief among them the novelist Doris Lessing. Shah came to be recognised as a spokesman for Sufism in the West and lectured as a visiting professor at a number of Western universities. His works have played a significant part in presenting Sufism as a secular, individualistic form of spiritual wisdom. 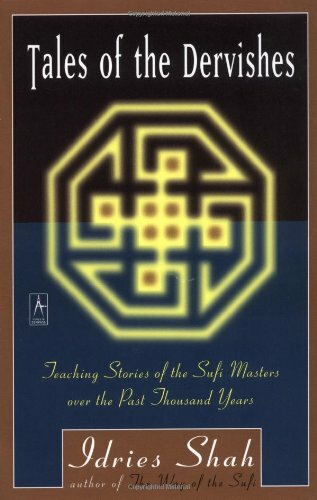 Idries Shah's books on Sufism achieved considerable critical acclaim. He was the subject of a BBC documentary ("One Pair of Eyes") in 1969, and two of his works (The Way of the Sufi and Reflections) were chosen as "Outstanding Book of the Year" by the BBC's "The Critics" programme. 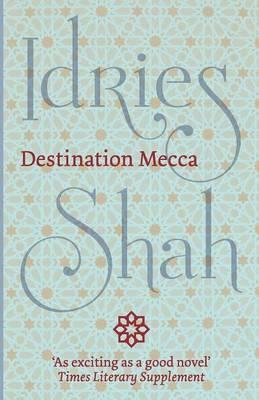 Among other honours, Shah won six first prizes at the UNESCO World Book Year in 1973, and the Islamic scholar James Kritzeck, commenting on Shah's Tales of the Dervishes, said that it was "beautifully translated". The reception of Shah's movement was also marked by much controversy. Some orientalists were hostile, in part because Shah presented classical Sufi writings as tools for self-development to be used by contemporary people, rather than as objects of historical study. L. P. Elwell-Sutton from Edinburgh University, Shah's fiercest critic, described his books as "trivial", replete with errors of fact, slovenly and inaccurate translations and even misspellings of Oriental names and words â€“ "a muddle of platitudes, irrelevancies and plain mumbo-jumbo", adding for good measure that Shah had "a remarkable opinion of his own importance". Expressing amusement and amazement at the "sycophantic manner" of Shah's interlocutors in a BBC radio interview, Elwell-Sutton concluded that some Western intellectuals were "so desperate to find answers to the questions that baffle them, that, confronted with wisdom from 'the mysterious East,' they abandon their critical faculties and submit to brainwashing of the crudest kind". To Elwell-Sutton, Shah's Sufism belonged to the realm of "Pseudo-Sufism", "centred not on God but on man." First published in 1957, Destination Mecca was both an ambitious travel book and a work of ethnographic and cultural research. Shah documents a wide range of fascinating journeys, from his quest for the gold mines of King Solomon on Sudan's Red Sea Coast, to encounters in desert caravanserais and sojourns with Mediterranean contraband smugglers, to his time as a personal guest of the elderly King Ibn Saud. As readable now as it was when first published, Destination Mecca acts as a beacon for hands on adventurers and those of a more sedate kind.